The Golden Age of survival horror games began in the mid-90s and ran for about a decade. Despite their often-rudimentary graphics and dodgy gameplay, series like Resident Evil and Silent Hill explored B-movies and psychological horror in ways previously unfamiliar to gamers. Pick any “all-time best horror games” list, and chances are more than a few titles from this era will be cited. This may have been the Golden Age, but if current titles are any indication, we may be on the brink of another. 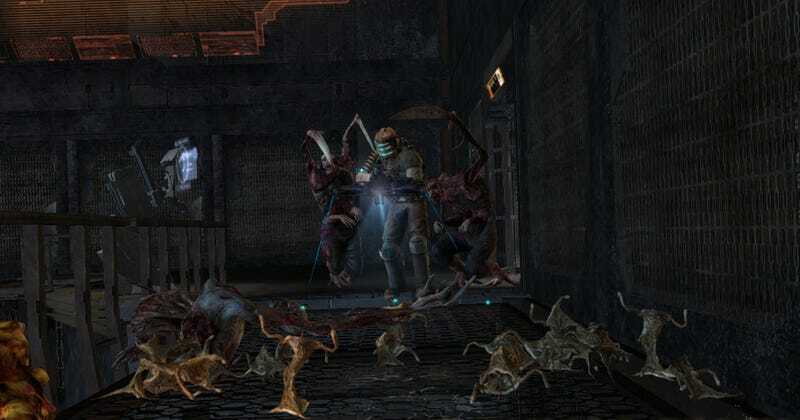 Formulas grow tired, however, and in 2005 Resident Evil 4 ushered in a new age, one that melded horror with action for a more visceral experience. Its success paved the way for games like F.E.A.R. and Dead Space, which delivered scares at a faster pace that appealed to a wider audience. Publishers began to emphasise action over horror, but fans quickly tired of games that were little more than “scary” shooters. Resident Evil 6 (2012) and Dead Space 3 (2013) were disparaged by players and critics alike, and the future of horror video games looked bleak. Indie developers filled the void with horror games that were more nuanced than their big-budget contemporaries. 2010’s Amnesia: The Dark Descent turned the genre on its head by taking away the weapons and levelling mechanics players had grown accustomed to. As everyman amnesiac Daniel, your only recourse against the game’s monsters is to hide. Rather than simply wrapping frenetic action in a “spooky” skin, games like Outlast (2013) and Five Nights at Freddy’s (2014) scared players while eliminating gunplay altogether. Each renders the player helpless in different ways: in Outlast, it’s the constant search for batteries to power your night vision camera in order to navigate the dark halls of Mount Massive Asylum. Five Nights at Freddy’s confines players to a single room, where they search monitors for a glimpse of the ever-encroaching, murderous animatronic mascots. Thanks in large part to the out sized reactions of popular YouTubers during Let’s Plays, the genre seemed to be undergoing a bit of a renaissance. 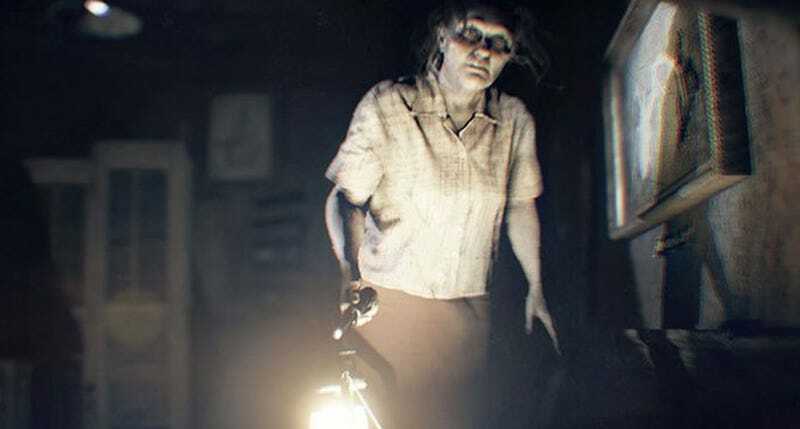 P.T., Hideo Kojima’s ‘playable teaser’ for the cancelled Silent Hills, is a watershed horror game for the modern era. It is shockingly simple in its design. Players navigate a single L-shaped hallway with doors at each end and a bathroom off to one side. Unlike previous entries in the Silent Hill franchise, there is no combat; in fact, there are few mechanics at all. It is horror distilled to its purest form, forcing players to endure new frights every time they walk through a door in this haunted house. It’s a relentless nightmare, all ghosts and moans and weird, squealing sink babies in the dark. Just last week I tried to explain to a non-gaming friend exactly how terrifying P.T. is and how it scared me so badly the first time I played that I ended up yelling at my TV and may have cried a little. My friend still wasn’t convinced that a game could actually be that scary, so I fired it up. It didn’t take long for my friend to lose it, even though I was the one holding the controller. Every time I turned around, they got nervous. They screamed when a door slammed. They screamed louder when Lisa, the terrifying ghost stalking the hallways, grabbed me. When a window crashed to the ground, they screamed again and told me they’d had enough. I was more than happy to turn the game off; even though I know what to expect, P.T. still gets under my skin. P.T. was such an effective demo for Silent Hills that fans still mourn the game’s eventual cancellation. P.T. might be only an hour long, and it may be nothing like what the full game would have been, but it’s still one of the most powerful horror games to ever exist. The gaming internet banded together to solve its mysteries and abstract puzzles, and for a hot minute P.T. was a phenomenon. It’s no surprise, then, that it continues to have a huge effect on the state of the genre in 2017. 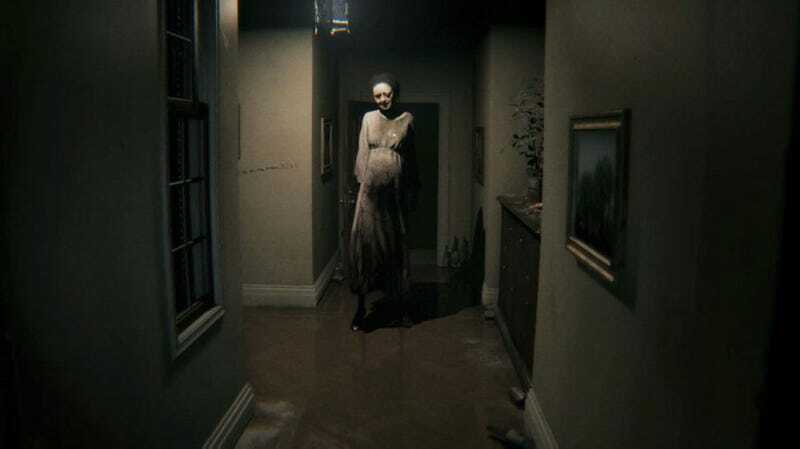 It inspired several hallway-heavy upcoming games, such as Visage, Ghost Theory, and Allison Road, all of which seek to make good on P.T’s unfulfilled promises. P.T. also revitalised the flagging Resident Evil franchise. Biohazard, the seventh game in the series proper, brilliantly mixes classic survival elements such as exploration, secrets, weird monsters, and puzzles with a first-person P.O.V. and emphasis on atmospheric scares. Fans were trepidatious about the drastic deviation in style from earlier titles in the series, but ultimately the game was a terrifying hit. Horror becomes stale when it gets too familiar, but Resident Evil 7 proves that a fresh spin on an old favourite can reinvigorate a jaded fanbase. Recently, narrative adventures that draw heavily from horror cinema have become a mainstay in gaming. Games such as Until Dawn, Layers of Fear, Soma, Observer, and Kholat prioritise storytelling and mood over traditional gameplay elements and action. They have their fair share of detractors, but games like these have proven that fans are hungry for a compelling story along with their frights. That’s not to say players don’t still enjoy the “reduce the monsters to a puddle of blood and goo” approach as well. The Evil Within 2 may require plenty of sneaking, but players also have an arsenal of guns to pulverise anyone in their way. 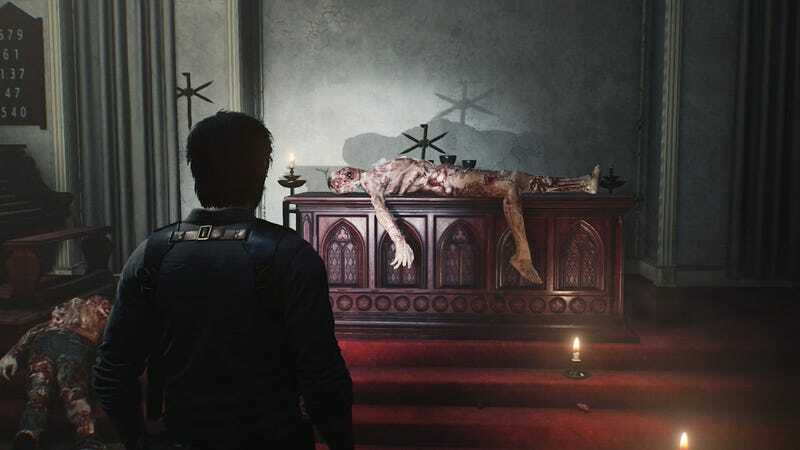 While not as well received as Resident Evil 7, Resident Evil: Revelations 2 harkens back to traditional survival horror with its weird monsters and decrepit locales. It doesn’t shy away from action, either: headshots are as explosive and gross as ever, whether they’re courtesy of an assault rifle or a boot stomp. Zombies, on the other hand, aren’t faring as well as they used to. The Walking Dead Season 3: A New Frontier and Dead Rising 4 both received lukewarm reviews, while the latter was roundly rejected by long-time fans of the series. This isn’t solely the fault of these games’ undead antagonists, but it’s clear that the zombie craze has finally taken a bullet to the brain. Every horror fan knows, however, that you can’t keep a good corpse down for long, so perhaps the trend will rise again. When they’re not killing monsters in single-player games, horror lovers are killing each other (or trying to avoid each other) in asymmetrical games. Friday the 13th and Dead by Daylight have proven to be runaway–if troubled–successes. Friday the 13th in particular is about the closest to a playable slasher movie as we’re ever likely to get. White Noise 2 pits four monster investigators against a monster trying to eat them, and while it’s received the least attention, it’s perhaps the scariest offering in this sub-genre, stressing atmosphere over violence. The forthcoming Last Year (5 vs 1 survival horror) and Hunt: Showdown (PvP monster hunting) will continue the trend, expanding the multiplayer horror market even wider. While I’d love to see the return of several iconic franchises (what I wouldn’t give for a new Silent Hill), the fact that so many of them petered out has been great for the genre. Indie developers rose to the occasion, took chances, and experimented with form, moving away from the same old same old. Mainstream companies took notice of their successes and have transformed the familiar into something new. There’s such a wide variety of horror games currently on the market that no matter the experience you’re looking for, you’ll find it. Horror games are still going strong, both old school style and new.